OKLAHOMA CITY – Gov. 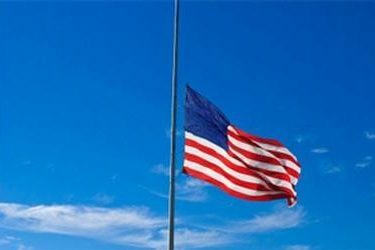 Mary Fallin has ordered all American and Oklahoma flags on state property to be flown at half-staff from 8 a.m. until 5 p.m. Tuesday to honor the victims of the Sept. 11, 2001, terrorist attacks on America. “Sept. 11 is a day to mourn and remember those who were victims to the worst terror attack in our nation’s history,” said Fallin. “As we continue to pray for their families and friends, let us also remember and pay tribute to the heroic actions of first responders and volunteers who acted quickly and selflessly — sometimes even sacrificing their own lives — to save others. Moving forward, our goal must be to continue to ensure that the events of Sept. 11 never repeat themselves, and that we remain vigilant against those who seek to do us harm or undermine our freedoms.